For many businesses, trade shows and exhibitions form a critical aspect of their Marketing plans. They provide a great opportunity to engage with potential new customers or partners. They also serve as a place to broaden and deepen relationships with existing customers and re-ignite those that have gone off the boil. The challenge is that mostly all the other exhibitors are trying to achieve the same. They may not be your direct industry competitor but, for the duration of the event, they are competing with you for the finite time, attention and mind space of the attendees. 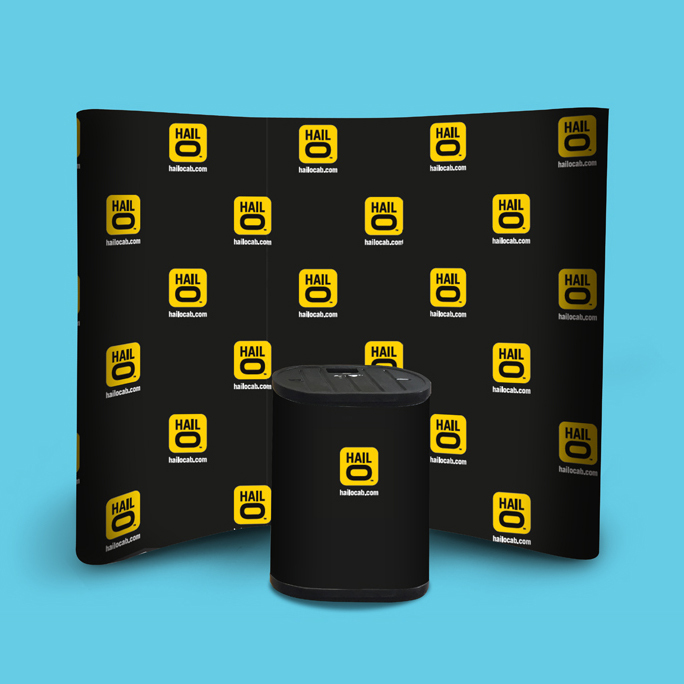 A natural starting point is to ensure that you have a great pop-up stand supported, space permitting, by pop-up banners. That instantly raises you above exhibitors who chose to rely on piles of brochures artlessly laid out on a trestle table. To rise above the other exhibitors who have invested in a pop-up stand we have a few design hints and tips we have learnt over the years. Don’t use large blocks of copy – delegates are often in cruise mode and want to be able to gleam what you do without stopping for a dreaded hard sell. Once they know what you do they’ll approach you and the more detailed positioning can be delivered face to face. Make sure your logo is at, or slightly above, eye line. Busy events can mean busy aisles – ensure your key imagery and messaging can be seen even when crowds are forming. Repeat imagery or styles from your brochures on your stand. Help the attendee remember the experience of visiting your stand by providing a visual prompt for them to take away. Small details that can make the difference. Datum has been designing and creating pop-up stands and banners for many years. Tap into our experience and trust us to come up with a bespoke stand solution for your business that will ensure you always stand out from the rest.